Blind Item Collective: Who the F!%k is Timmy? So apparently Shimmy was Arthur Blake (a famous impersonator) playing Alice Brady, revealed by CDAN a few days ago. But there was a real Alice Brady too, but when Alice was sick Arthur would take her place. So the blind is not really about an actress who won an award who was really a man. It's about a male fill in who in some scenes substituted for an actress who won best actress. Potatoes, potatos? I don't know. I think this ghosting situation is certainly a plausible thing to have happened in Hollywood even with a man as a woman, for instance Kay Kendall had a stand-in for her last picture with Yul Brynner, but it also makes it a bit - meh, whatever. That's if it's true. What were the other awards Timmy won? And the scene from the award winning movie with the scar that matches the scar of Timmy? Timmy was meant to be slightly built and fair, but Arthur is not. Nor did Arthur go back to the theatre, he still did some film and tv. What do you think, do you believe the Timmy/Shimmy story? Only hours until theShimmy reveal! from a quick read of all the comments it appears that for the most part, the entire thing including the how and why have been solved. There are about four or five comments that put it all together, and so I really don't know what to add except to tell you that it was an Academy Award"
#1 Think water when you are thinking of Noah's Ark. 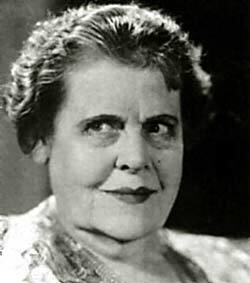 Marie Dressler may or may not be Shimmy but I swear to god that is a MAN. The pic of her just below is almost as scary. So Margaret Rutherford is the only one who fits the clue about winning more than one award and awards that were increasingly bigger and all for one role- she won all her awards for the movie The V.I.P's. Plus, one year before she won the awards for The V.I.P.s, she was in a movie called, The Mouse That Roared where she played the lead opposite Ron Moody who was definitely A-list. 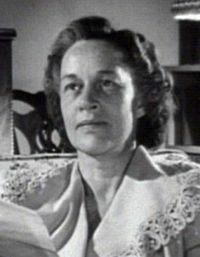 In addition, she had a recurring role as Miss Marple before and after the V.I.Ps but all appearances after the Miss Marple roles were within a three year period and were mostly voice work. "Maggie McNamara was born on June 18, 1928, and died in 1978. She studied drama and dance for three years before making her Broadway debut in 1951. She later replaced Barbara Bel Geddes in the stage production of “The Moon Is Blue” and became an instant film star when she repeated that role on the screen. Although she was nominated for an Academy Award for her first screen appearance, and quickly signed a contract with 20th Century Fox, she only appeared in three more movies: “Three Coins in the Fountain” (1954), “Prince of Players” (1955), and “The Cardinal” (1963). 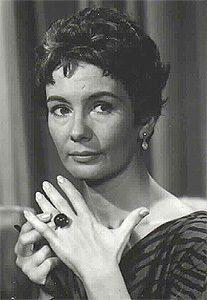 By the mid–1960s she had disappeared from both the screen and the stage, and she ended up making her living as a secretary. In 1978 she was found dead of an overdose of sleeping pills, a suicide note at her side. The police report said she had a history of mental illness. She is buried in an unmarked grave in Saint Charles Cemetary, Farmingdale, New York." Problems: she never won an Academy award, just nominated. And the film she was nominated for was her first film which doesn't fit. Yeah, ok it's likely NOT her. Godamn. 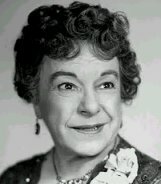 Kay Kendall Not Shimmy! Noooooo! Well, I feel kind of bad for initially getting everyone off on the wrong track with Kay K. (including some t-shirt makers)! "#1 One very good possibility for Shimmy was discarded much too easily. #2 Yes, the explanation for the blind is long, but only because it would be a disservice to just give the answer and not tell you the why. I did see a comment where someone got very close to the why. #3 I was going to post something on Jane Wyman and then figured everyone would see the photo and die, so held back. Ditto a photo collection of Hollywood leading ladies which is really incredible. #4 The photos in the post are just photos and as far as I know Timmy isn't in any of them. They were just photos I found on Google looking for old Hollywood casts. I'm amazed by the amount of research done on the theatres and if there is a historical society associated with them, they have enough for a book. #5 Sorry to disappoint the t-shirt makers (where are the free t-shirts for all the people who worked on this?) but it isn't Kay Kendall for Shimmy (did I hear a gasp or groan?) and it isn't Robert Moore for Timmy. #6 Not Judy Holiday, Judy Holliday, or Madonna's song Holiday." So it seems like it's not Alice B. either....so who is it? CDAN today: "Everyone seems to be convinced Shimmy is one of two people even though I haven't "notted" some of your other important guesses." Here are some other guesses for Timmy that I made or others made. I've only included people that stop work a few years after an oscar win or nomination: Margaret Rutherford, Maggie McNamara, Andrea Leeds, Marie Dressler, Fay Bainter. Is the answer in these names?